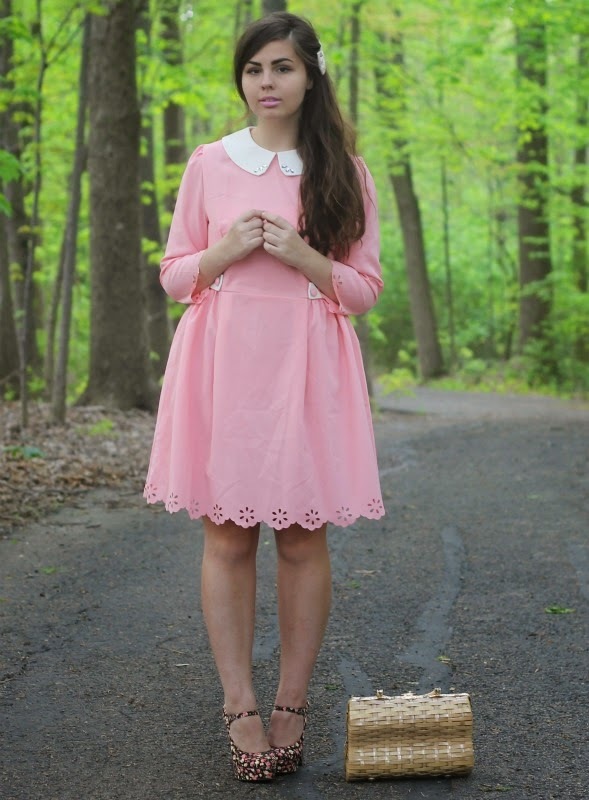 Pink Collar Dress: c/o OASAP. Floral Mary Janes, Hair Bow: Forever21. Yikes. I've had this dress for a few months now and have been stumped on how to wear it...it's just, er, a little bit different than the photos on the site when I chose it. That's the gamble you play though with online shopping and inconsistent wholesale sites. Blogging gets awkward and kind of uncomfortable sometimes when you do accept a sponsorship and get the item, but it's not what you expected or you don't like it at all. What do you do? Send it back? Never wear it? Fight through and try and mask the pieces and parts of it you don't like to make it presentable? In a way, none of them really feels like the right answer. On one hand, I want to be fair to the company who sends me the item and properly show off the garment...on the other hand, I never want to be dishonest or misleading with you all about the quality or appeal of a piece. So, I try and find a middle ground I guess between giving each company the respect of still wearing the garment even if I don't care for it (they did graciously give it to me after all! ), but still being honest in my opinion of whether it meets my expectations. I suppose that's the best you can do sometimes, right? This dress isn't that bad per say; it has all the elements I usually love. One thing was the color that got me. 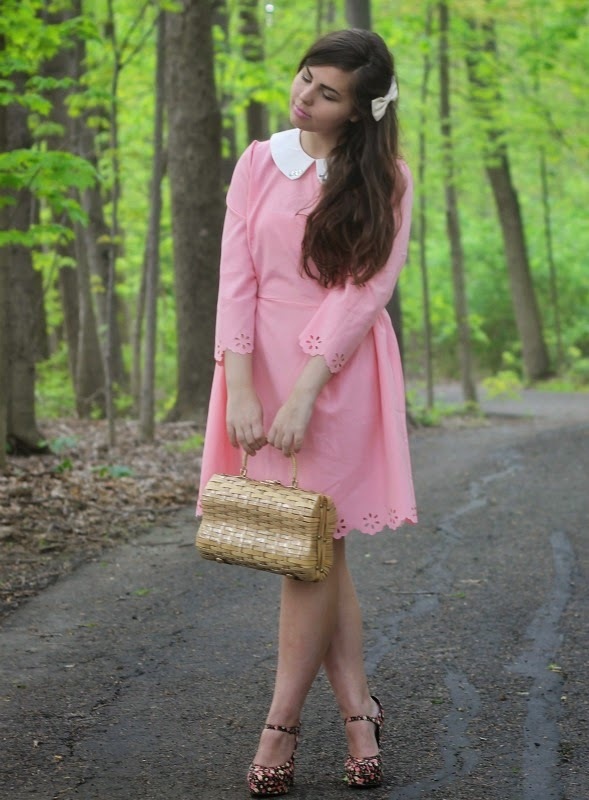 It was very baby pink in the photos and it turned out to be a very pepto bismal pink in person; something I threw up once as a child and am not fond of now, ha. It was also just too big in all the wrong places and the details I saw as cute online just seemed to become caricatures of a real life doll dress when I saw it in person. I don't mind how I styled it up and wore it, it just wouldn't ever be the first choice for something in my closet. I think Kate wore it wonderfully--proof that it's not a bad dress! It just isn't right for me. I love the cute cutouts on the dress :) Too bad you didn't care for it. loving your dress and your hair so much!